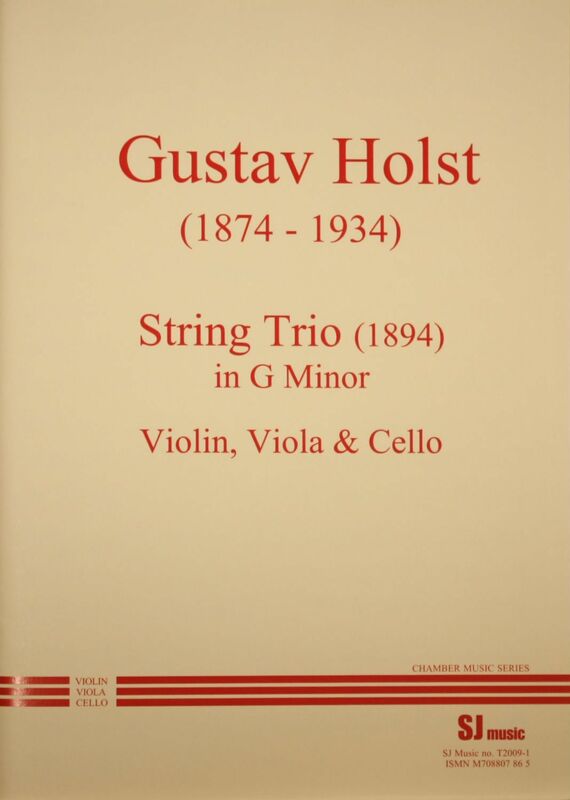 This string trio is a very early work by Holst, who is best known for “The Planets”. It was written while he was still a student, but it is, nevertheless, a mature piece worthy of a place in the string trio repertoire. It is technically quite accessible for competent players. Gustav Holst was born in Cheltenham in 1874 and died in 1934. He started composing while he was still at Cheltenham Grammar School and later went on to study under Stanford (also published by SJ Music) at the Royal College of Music. There he met fellow student Vaughan Williams in 1895 and they became lifelong friends. In 1905 he was appointed Director of Music at St Paul's Girls' school, a post he kept until the end of his life. He was also in charge of music at Morley College (south London) for a while and later taught at the Royal College of Music.